“You never quite know what to expect when you join a new company, and walking through the door on my first day at JTL was suitably nerve-wracking. But I needn’t have worried. My manager welcomed me and took the time to take me through the office so that I could meet the rest of the team. That was a really nice start. What struck me was the effort people made to put me at ease and answer my questions. It wasn’t just for show, either. I’ve since come to realise that helping, supporting and listening to each other really is part of the culture at JTL. It’s what makes the organisation successful and a nice place to work. But the induction process was also pretty rigorous. 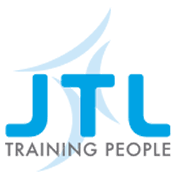 I quickly gained an insight into what makes JTL tick – its values, the way it does things, the care they put into developing your individual skills, and so on. I think the bottom line is that this is a place to pursue a career rather than just do a job. You know what’s expected of you and you know that you’ll be given the support you need to do it well.